You have the right to talk to a lawyer and have him present with you while you are being questioned. If you cannot afford a lawyer, one will be appointed to represent you before any questioning. You can decide at any time to exercise these rights. These statements are known as the Miranda Warnings, after a previous U.S. Supreme Court decision in Miranda v. Arizona. If you are not told these rights when you arrested, the arrest may be invalid. If you are being arrested and told your Miranda rights, you need to take them seriously immediately. These rights granted to you be the Constitution are so important, the Supreme Court decided you must be reminded of them immediately upon your arrest. The purpose of this is to ensure you know how you are able to protect yourself following an arrest, avoid self-incrimination, and deter police abuse. Right to remain silent: To invoke your right to remain silent, you actually must speak up. You must tell the police officers questioning you that you are invoking your right to remain silent and that you will not answer any questions. You must then follow through with this statement and not answer the officer’s questions. If you do not say you are using this right and simply remain silent, the police and prosecutors can use your silent and unspoken actions as signs of your guilt. Anything you say or do can and will be used against you in court: The police will pay attention to what you say and your actions in order to gain evidence against you. Even the smallest comment, shrug, or eye roll can be interpreted negatively. If you have not invoked your right to silence, every little thing you say or do can be noted by the police and used as evidence by the prosecutor to prove your guilt during trial. This is why it is crucial to not answer questions yet cooperate with the police after an arrest. You want to give them as little ammunition as possible. You have the right to an attorney. While you are not going to have a lawyer right when you are arrested, you have the right to an attorney whenever the police question you and when you must appear in court. Like your right to silence, you must affirmatively tell the police you are invoking this right. You must clearly state you want an attorney. Do not say you think you need an attorney or ask whether you should have an attorney. Once you unequivocally request an attorney, the police must stop questioning you until you have an attorney present. You have the right to contact an attorney or contact your family who can then obtain an attorney for you. If you cannot afford an attorney, one will be appointed to you. If you or your family cannot afford to hire an attorney right away, you can have a lawyer appointed to you by the court. You will have to wait until your arraignment to tell the court that you need a lawyer. Until then, you can invoke your right to remain silent and to have an attorney to ensure you do not hurt your case. You can decide at any time to exercise these rights. You do not have to invoke your right to silence and an attorney immediately upon arrest. Answering questions and doing so without an attorney does not take these rights away. At any time during an interrogation you can state that you will remain silent and that you want an attorney. 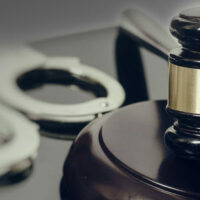 Once you have invoked your right to silence and to have an attorney, contact or have your family call the experienced criminal defense lawyers of Salazar & Kelly Law Group, P.A. Our Kissimmee legal team is prepared to help you today.